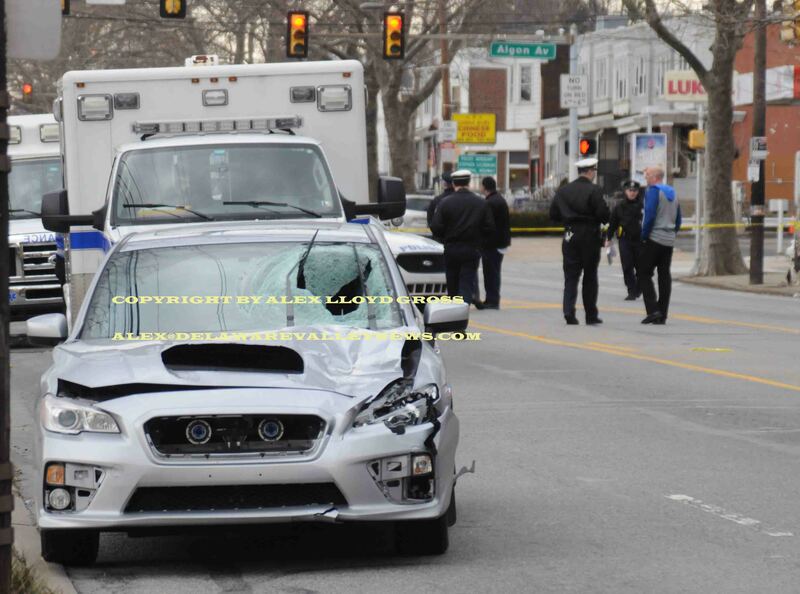 Alex Lloyd Gross- Photo- Delaware Valley News.com The crash scene on Cottman Avenue. Adam Soto, a former Philadelphia Police Officer assigned to the 24th district will spend between three to 12 months in county jail, Judge J. Scott O’Keefe said. The sentence is within state guidelines, in spite of pleas from the District Attorney’s office to increase the sentence. 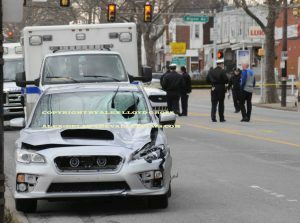 Soto was drag racing another cop, Tony Forest, January 31, 2017 on the 1600 block of Cottman Avenue. That is directly in front of Northeast High School, police said. Forest was not charged in the accident, but he was fired from his job as a cop. Daniel Dimitri, 50, was crossing Cottman Avenue to catch a bus. He did not dart out into the street. Soto was driving at least 80 MPH at the time of the crash, when he hit Dimitry. Soto will spend four years on probation after he completes his prison sentence. He will never work again as a cop. He entered a guilty plea of homicide by vehicle and involuntary manslaughter. During the sentence,judge O’Keefe called Soto’s actions “Asinine, stupid and senseless”. Soto had asked to be able to do his sentence on house arrest. That was rejected by the judge. Soto will report to prison February 8, 2019.